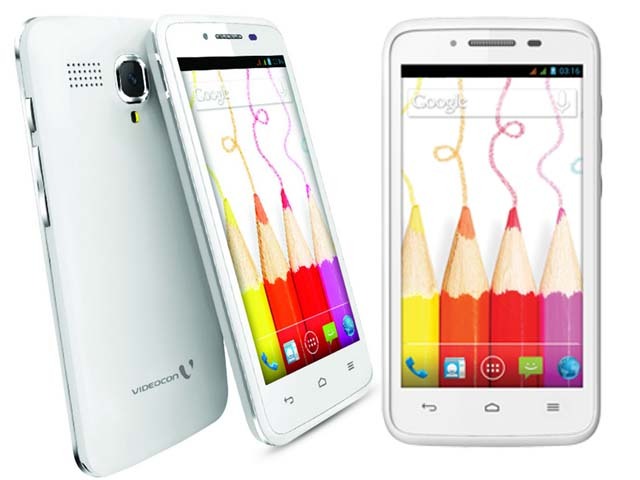 The Videocon Mobiles has launched a new smartphone A42 with a price tag of Rs 7,490 in India. This mobile handset has the Android 4.2 Jelly Bean operating system and runs on a 1.2GHz dual core processor with 512MB RAM. The phone also has 3G connectivity, Wi-Fi, Bluetooth and GPRS. The latest smartphone Videocon A42 has a 4.5-inch screen with 645x480 pixel resolution. In the storage section the phone has a 4GB internal storage and can be expand up to 32GB via microSD card. Videocon's A42 Android smartphone also has the dual SIM feature with dual standby.The phone also comes with a 5MP main camera with LED flash and a 1.3MP front camera. If you see the connectivity feature of Videocon A42, it has 2G, 3G, Wi-Fi, Bluetooth 4.0 and micro USB. 1700mAh Li-ion battery also a good part of the smartphone. Having all these specifications and features, the Videocon A42 will be available for Rs 7,490.